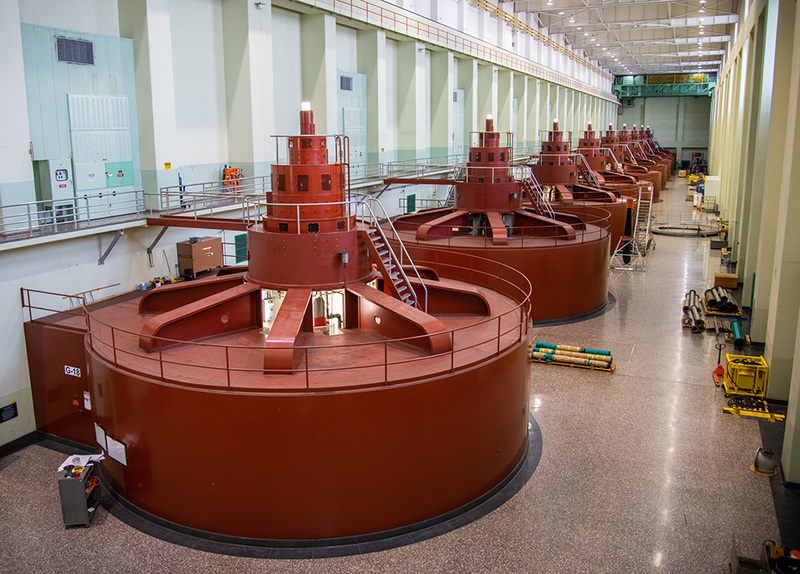 The right powerhouse of Grand Coulee Dam.GRAND COULEE, Wash. — The Bureau of Reclamation has issued the final Environmental Assessment (EA) and Finding of No Significant Impact (FONSI) for the Grand Coulee Dam G1 – G18 Generating Units Modernization and Overhaul project. Reclamation requested public review and comment on the draft EA from April 13 to May 14, 2017. In response to comments, Reclamation provided clarifications and expanded discussion in various sections in the final EA. Based on the analysis in the EA, Reclamation proposes to complete the needed work in the Left and Right Powerhouses by working on two generating units simultaneously. Modernizing all 18 generating units is anticipated to take approximately 10 years to complete. Restoring the generators, which have been in use for over 70 years, will ensure reliable future operations. The final EA and FONSI were prepared in accordance with the National Environmental Policy Act and are available at https://www.usbr.gov/pn/programs/ea/wash/gcpowerhouse/index.html. Hard copies of the final EA and FONSI are available on request by contacting Ms. Pam Druliner at pdruliner@usbr.gov, by mail at Bureau of Reclamation, 1150 North Curtis Road, Boise, ID 83706, or by phone at (208) 378-6214.